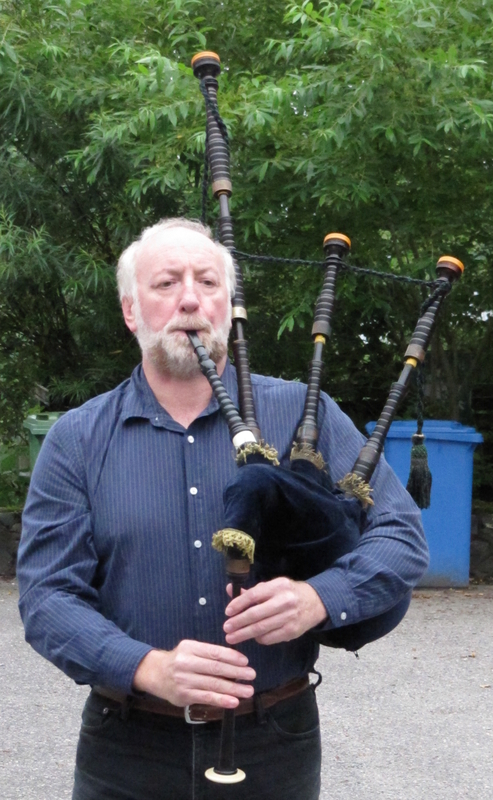 Bha fleadh sgoinneil againn a-raoir aig Sabhal Mòr Ostaig far an do chuir mi fhìn agus Meg Bateman ar leabhraichean ùra air bhog, anns a’ chomhairsneachd againn fhìn, agus thàinig mòran charaidean a-mach airson fìon, nibbles agus litreachas. Bha an talla làn agus bha an oidhche blàth beòthail agus spòrsail. Thòisich an oidhche le pìobaireachd bho Cheap Breatainn le Barry Shears. Chuir Donnchadh MacAonghais bho Sheall fàilte air a h-uile duine agus bha facal againn bho John Storey còir bho Chomhairle nan Leabhraichean. Bha Mark Wringe anns a’ chathair agus nan robh sibh a-riamh aig oidhche litreachais còmhla ri Mark, bidh fios agaibh gun cùm e an còmhradh a’ dol ann an dòigh a tha an dà chuid smaoineachail agus fiosraichte. Leugh Meg an toiseach. 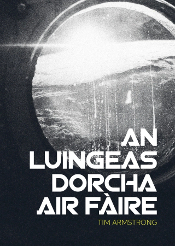 Bha mi air an leabhar aice a leughadh mar thà, ach ’s e rud gu tur eadar-dhealaichte a th’ ann a bhith a’ cluinntinn nan dàn bhon bhàrd fhèin, le mìneachadh air na smaointean a bha air an cùlaibh. Sheinn Barry Shears a’ phìob a-rithist, agus an uair sin, leugh mi fhìn. Leugh mi bhon chiad chaibideil, agus cuideachd, rinn mi earrann bheag dhen rap aig A-Hiom. 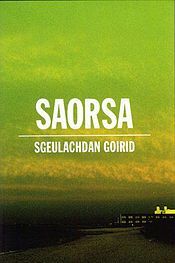 Cha robh mi buileach cinnteach an dèanainn an rap chun na mionaid mu dheireadh, agus am bos agam, Boyd Robasdan, anns an èisteachd, am measg mòran daoine urramaichte eile, ach thug e gàire don t-sluagh, is bha sin math. Bha na ceistean aig an luchd-èisteachd gu sònraichte inntinneach. 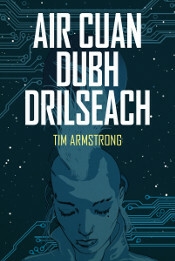 Dh’aontaich Mark agus John gun robh e iongantach cho math ’s a bha an còmhradh. 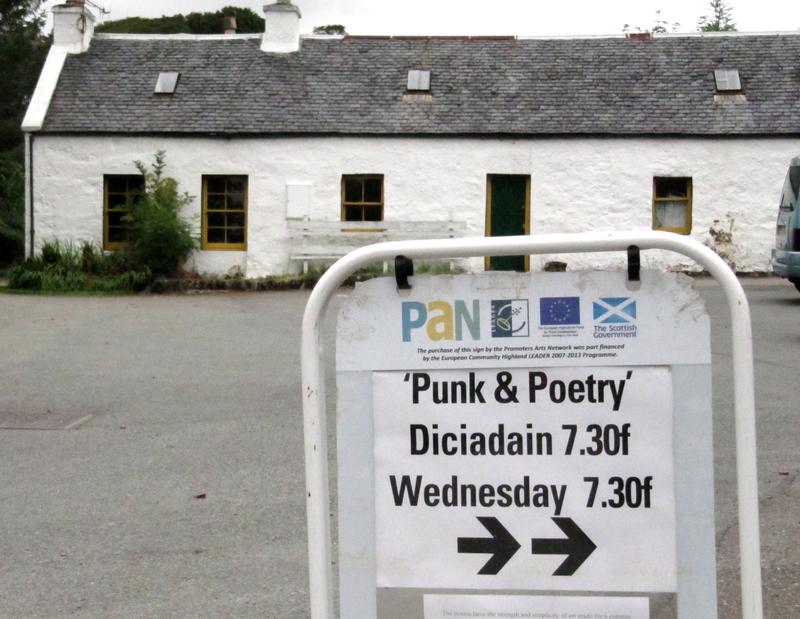 Bha pailteas biadh sgoinneil againn, agus uile ri chèile, ’s e oidhche air leth soirbheachail a bh’ ann. Taing mhòr dhan a h-uile duine a thàinig! Heidh a Shùsaidh!!! Mìle taing airson tighinn. Tha mi toilichte gun robh thu ann!